Drake‘s recently wrapped up his seven-day residency at the O2 Arena in London. The rapper’s connections to the U.K. have gotten stronger over the years due to his ties with some the country’s biggest acts in grime. However, Drake isn’t done blessings his U.K. fans just yet. 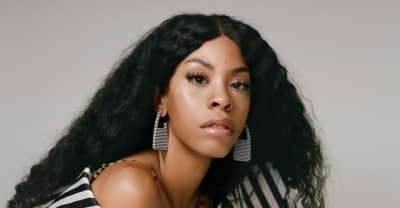 The rapper tapped Tiffany Calver as an opening act on the “Assassination Vacation” tour and now, he returns the favor by joining her as a co-host on her 1Xtra show. Drake’s an actor, a singer, a rapper, and now, he’s taken on the role a radio host. The rapper has joined Tiffany Calver on her 1Xtra’s Rap Show. She previously revealed the special guest on 1Xtra’s Breakfast Show. “We’ll talk about tour, we’ll play some games, we’ll play some music—it’s going to be a vibe,” Calver said. A snippet the episode was posted on BBC 1Xtra’s Instagram where the rapper asks Calver who was the last celebrity to slide in her DMs. Ultimately, it prompted a sing-a-long between Drake and Calver. Drake’s “Assassination Vacation” tour stops in London this past week have been eventful, to say the least. Drake brought out J Hus shortly after his release from jail. Additionally, he brought out J. Cole a few nights ago and revealed that the two them have new music on the way. You could stream 1Xtra’s Rap Show here.